We’d love your help. 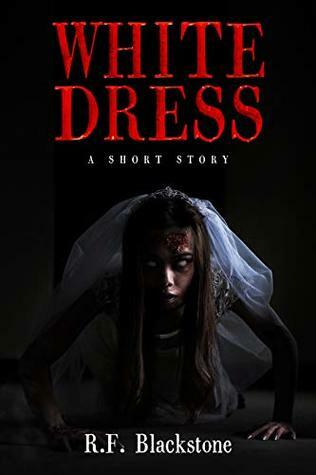 Let us know what’s wrong with this preview of White Dress by R.F. Blackstone. If love has a price, how much would you pay? Would you lie … steal … spill the blood of an innocent baby? When his beloved Sandra dies, Danny Ray focuses his memories and longings on a pristine wedding dress. Finding the perfect ritual inside an ancient book that howls and purrs—The Book of Spite—allows Danny to have Sandra back. Soon though, his plan for satisfying evil beg If love has a price, how much would you pay? Finding the perfect ritual inside an ancient book that howls and purrs—The Book of Spite—allows Danny to have Sandra back. Soon though, his plan for satisfying evil begins to disintegrate—as does his resurrected bride. To ask other readers questions about White Dress, please sign up.